After the physical redesign, we needed to think about the new sections we would add to Hearing Aid Know. Thes would be a major part of our SEO strategy and play a huge role in providing the information that prospective consumers crave. So it was important that we got it right, we did, but we missed out on so much. That though is what learning is all about. Let me explain, first of all, what sections we added and the hierarchy structure we would use. Then I will talk about the evolution of that as we realised we had missed much. We identified these sections and the different pages we would add to them as central to our strategy. While these are the overall sections, in each section is a huge amount different pages, however, and this is core, they are all within the category described and they are all used to support the cornerstone page and each other, let's talk about how. For this article, I will concentrate on the hearing aids section, because there is much to tell. Each article after this will be dedicated to individual sections, what we did, why we did it and why you should do it too. 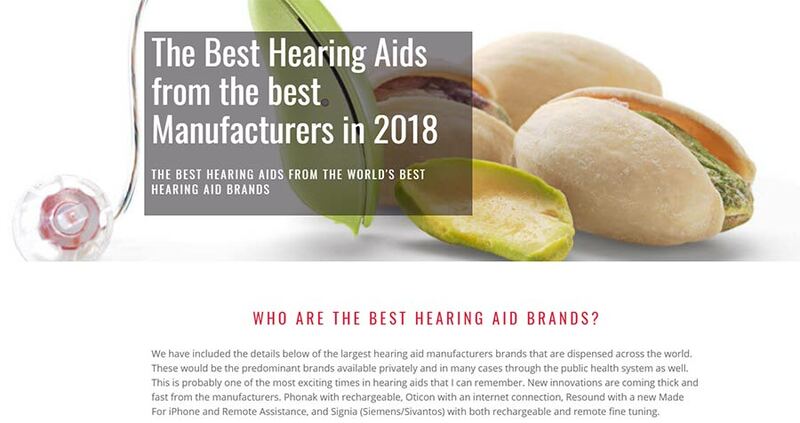 The structure or hierarchy is simple, a definitive page for the best hearing aid brands worldwide, this was our cornerstone page for hearing aid manufacturers. This page would lead to individual pages for each hearing aid brand, like this in-depth page about Phonak hearing aids. Each of these pages would then offer links to content about individual hearing aid platforms and technology levels. For instance, this page about the Widex Unique 440 platform. Each of these pages is long form and in-depth, covering many things within each concept. When we first started the process we didn't actually include the idea for the Bluetooth page or the invisible hearing aids page. We actually realised the need for them later. All of this content would help, but it would not work unless it was internally linked in order that it supported each other and passed internal authority. Each page does not exist in isolation, each page is internally linked to other pages using both buttons and anchor text hyperlinks. The use of this strategy allows Google to understand how pages are linked together and what the context of each page and link is. For instance, if we look at a recent article pertaining to the introduction of Unitron's new Moxi All. In that article, I have taken the time to link back to the rechargeable hearing aids page, the made for iPhone hearing aids page and the hearing aid brand page for Unitron. At the end of the article, I have also added an anchor text hyperlink to support a cornerstone article on the latest hearing aids in 2018. This is a lot of internal linking and some SEO guys warn about too many internal links. We have experimented with this constantly and we have found that once the links are within context and are designed to improve the user experience by offering more relevant information, there seems to be no problem. Listen, I know that this is a bit of work, but it is worth every bit of it. 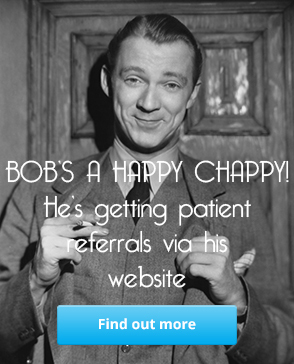 The work we put in transformed our site and led directly to the magic million page views. Think about what doing that work for your site would do for business in localised search. Think about what appearing in localised search for every hearing aid search term would do for your authority and your business levels. In the next article, I will outline the hearing care section and how we began to use it to support Independent Providers to get enquiries.